A circular polarizer has the same effect as a polarizer and is used on cameras with beam- splitting metering systems commonly found on autofocus SLRs. 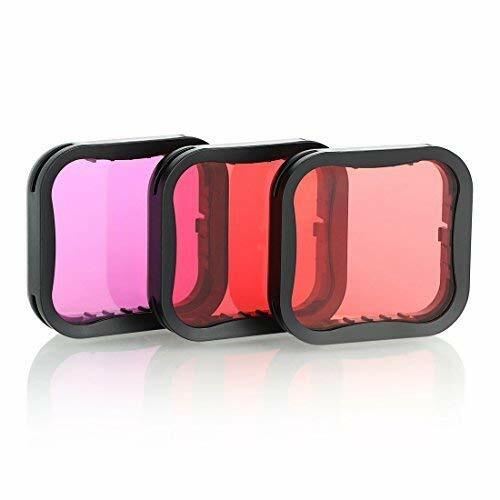 The professional 3-Pack dive filters set was designed for use with the Super Suit housing for HERO 5 6 7 Black camera.It includes Red, Light Red and Magenta Filter,which enhances colors and improves contrast in various underwater video and photography conditions. 1) Made of high quality material.The border is made of plastic and filter is made of acrylic. 2) 3 in 1 Kit, includes three filters (Red, Light Red and Magenta Filter) for different diving conditions. 3) Quick snap-on lock attachment, secure the filter firmly on the houisng, convenient to take off filters from the housing. 4) Comes with a safety tether to loop the filter to the housing. 5) Compatible with original GoPro Hero5 Super Suit Housing and SOONSUN waterproof housing case, not for other third party housing. 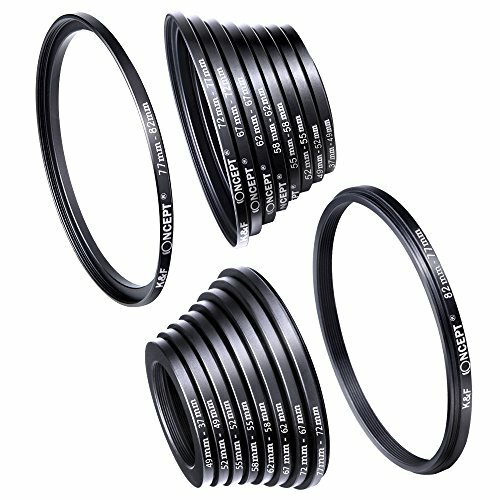 How to choose the filters? RED FILTER: The red filter is for color correction in blue or tropical water at the depth of 12 to 75 feet. MAGENTA FILTER: The magenta filter helps color correct in freshwater lakes and reservoirs that appears green at depth of 12 to 75 feet. LIGHT RED (SNORKEL) FILTER: The snorkel filter is designed for color correction for blue water or clear freshwater at the shallow depth of 2 to 15 feet. If for any reason you are unhappy with any product by SOONSUN, please do not hesitate to contact us. We take full ownership and responsibility for the quality of our products and will do our best to solve your problem quickly and efficiently. 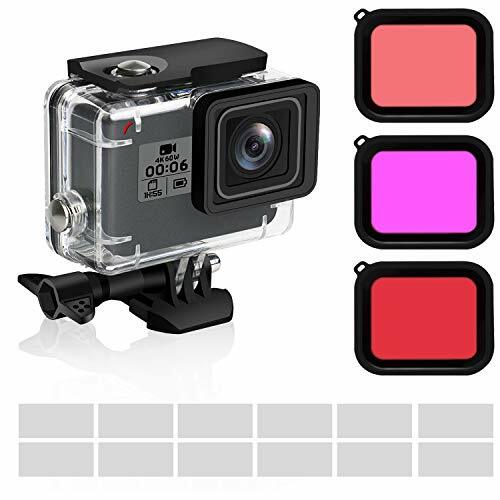 Provide Outstanding Improvement of Underwater Footage: This professional 3 in 1 diving filter enhances colors and improves contrast in various underwater video and photography conditions. Direct Snap-on Attachment: Easily snap on / off the filter to the super Suit housing. Reserved Slot for Tether: In case of loss, loop the included tether to the side of the slot. Includes Red filter x 1, Light red filter x 1, Magenta Filter x 1, Safety tether x 3, Drawstring bag x 1. Compatible with original GoPro Hero 5 6 7 Black super suit housing and SOONSUN Waterproof Housing. Not for other third party housing. NOTE: This kit is compatible with all 58mm lenses. Please verify your camera's lens thread size before ordering. Your camera's lens thread size will be marked somewhere on the lens barrel or printed underneath your lens cap. This number is always preceded by a (diameter) symbol. For example: 58 = 58mm lens thread size. Camera Models: Canon Rebel T7i T6i T6 T6s T5i T5 T4i T3i SL2 SL1, Canon EOS (1200D0D 750D 760D 650D 600D 550 110D 500D 450D 400D 350D 300D 7D 60D and more. 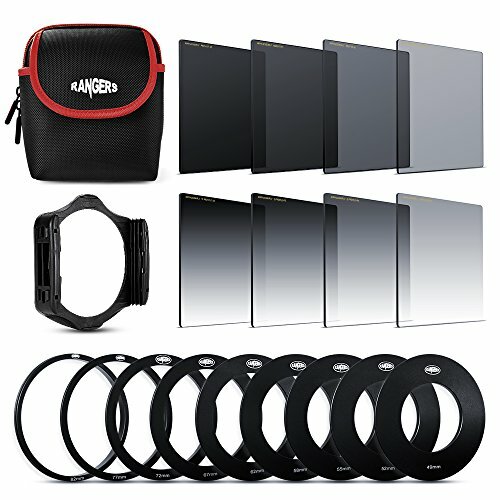 This Rangers ND filters kit allows you to get the best picture regardless of the lighting situation. 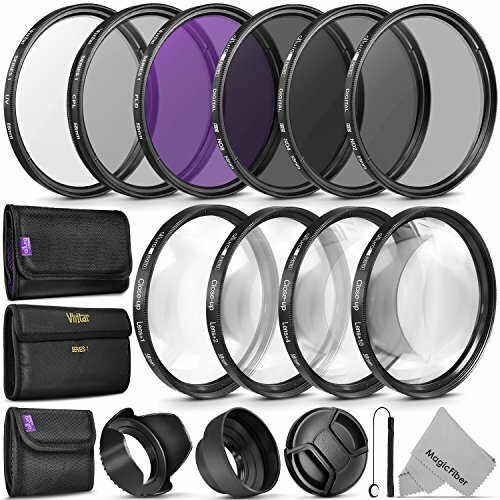 It includes 4 graduated filters and 4 solid ND filters. The included drop-in filter holder can hold up to three filters at a time allowing you to get the perfect shot in any lighting condition. 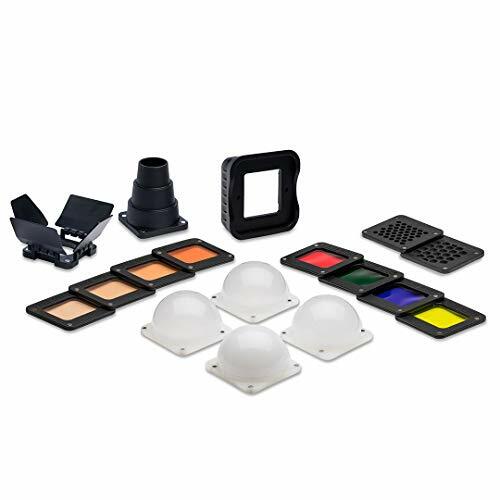 This filter kit is an excellent remedy for pictures that appear washed out or over-exposed. Made of a high quality Optical Polymer with multi-coating, which effectively prevents the lens from being scratched. Slow down the shutter speeds for high speed films or digital cameras to record blur or moving subjects such as waterfall, clouds, fountain, or any fast moving subject. Decrease the depth of field by allowing wider apertures to be used, which helps separate subjects from their background. Allow cine and video cameras (which have fixed shutter speeds) to film subjects such as snow, sand or other bright scenes which would normally cause over-exposure. 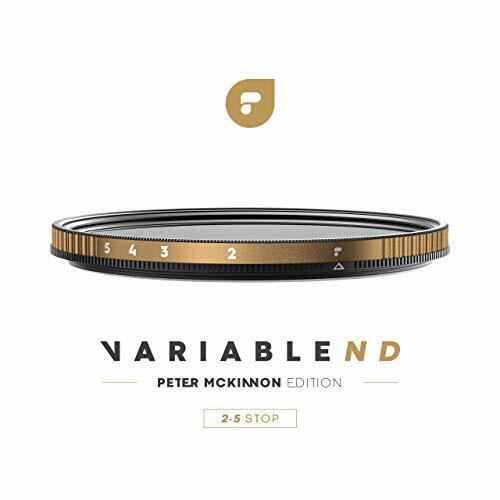 Ideal for professional photographers or beginners to take vivid photos. Slow down the shutter speeds for high speed films or digital cameras to record blur or moving subjects such as waterfall, clouds, fountain, or any fast moving subject. Decrease the depth of field by allowing wider apertures to be used, which helps separate subjects from their background. 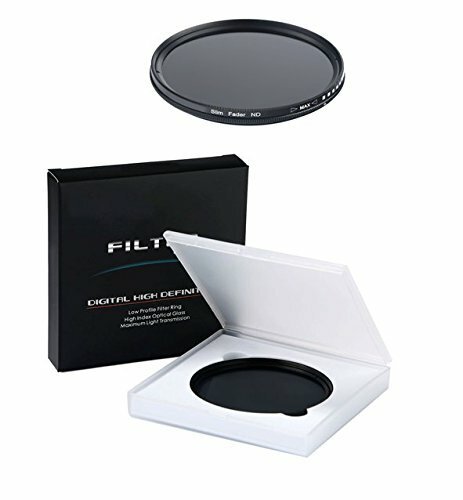 The Moment Filter Mount lets you attach a standard 62mm filter (sold separately) to your Moment Lenses (sold separately). Simply press fit the mount onto your lens and you're ready to go. 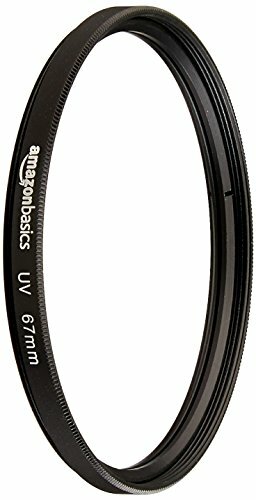 This Filter Mount includes a different rubber collar for each Moment Lens so you can use a standard 62mm filter on the Moment Wide, Superfish Tele, Macro (with no hood) and Anamorphic. Lens filters are great for capturing sunsets, cutting glare off the water, or shooting long exposures. Photography filters help you create effects and control light in ways digital editing can't. The filters we use the most are ND filters (allow for slower shutter speeds), Circular Polarizer (used when shooting in bright lights). and UV filters (handle the harshest of conditions). See the Moment Shop for filters we recommend. TURN ORDINARY LIGHT INTO A COLORFUL RAINBOW USING OPTICKLE CRYSTAL PRISM! Do you do photography and want to try a prism to make some really cool and creative photo effects? Or, are you a science teacher, looking for a high quality optical prism to teach children about the properties of light? Our prisms are made from high quality, thick optical glass in a high profile lab equipment factory. They are 6 inch long with 1.18 inch sides and have rounded edges to prevent you hurting yourself while using the prism. Professional photographers to add some amazingly stunning effects on their shots. In the classroom for science experiments involving light spectrum physics and to demonstrate the wavelength theory. Parents to show the kids a rainbow and to teach them to explore the mysteries of light. As lovely gifts for a student photographer, teacher or an enthusiastic kid on their birthday or Christmas day. How our optical glass prism differs from the competition? Made of polished glass for optical clarity. No fuzzy or hazy defects. Flat ends ensure it stands steadily without falling. Lightweight and portable. Easy to hold and pop in a camera bag in a microfiber drawstring pouch. Packed in a cushioned box to protect from potential damages. Comes in a beautiful gift box, ready for gift giving. BACKED BY 14 DAYS MONEY BACK GUARANTEE! We value you as our customer. So, we have included an ebook guide which teaches you to make a rainbow and how to use the prism crystal in photography, ABSOLUTELY FOR FREE with every purchase! SO, WHY WAIT? CHOOSE US NOW! HOW WE SET APART FROM THE REST. Our photography prisms are made of polished glass for optical clarity so, unlike poor quality light prisms you won't experience any fuzzy or hazy defects. The flat ends ensure our equilateral prism stands steadily without falling and has round edges to protect your hands while using the prism. Also, our photography prism is safely packed in a stylish cushioned box to protect it during transit. IMPORTANT IN ALL MANNER OF FIELDS. Our prisms for photography are used by professional photographers worldwide to add colors and reflections to their images for a unique and artistic touch. If you are a science teacher, use these prisms for kids in scientific experiments regarding the nature of light and to teach the children on general physics on properties of light. Also, if you have an enthusiastic kid, use our rainbow prism to show him how ordinary light turns into a colorful rainbow. GREAT GIFT IDEA. 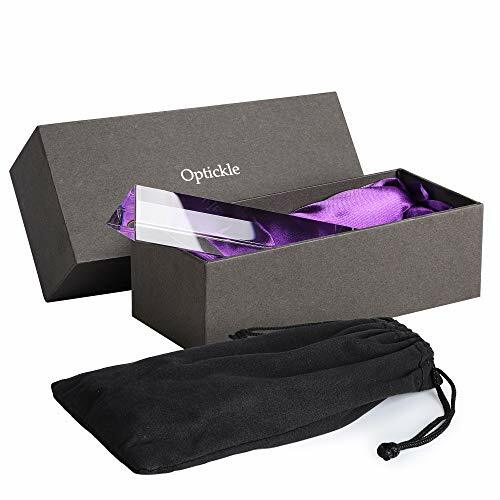 Our glass triangular prism is a fantastic gift for photographers, fashion bloggers, science teachers or for preschoolers, kindergarteners, and elementary students who love to observe and hypothesize about light. The prism comes in a nice gift box which is ready for gift giving. Also, we have included a handy microfiber drawstring bag to cover the triangle prism when carrying and to remove fingerprints after the shoot to make it ready for the next prism photography session. SWEET SATISFACTION GUARANTEED. We are so confident that you will love our rainbow photography prism as much as we do. So, we relax to offer a 100% MONEY BACK GUARANTEE! And for any reason if you are not completely satisfied, simply contact us within 14 days and enjoy a full refund. Also, don't forget to check out our FREE ONLINE GUIDE, which instructs you to make a rainbow and creative photo effects to shoot eye-popping photographs. So why wait another minute to grab this awesome glass prism? Professional quality without the price tag! Deals Number One supplies top quality, affordably priced photography accessories. Whether photography is your job or your hobby, you don't have to spend an arm and a leg to snap the perfect photo. Telephoto Lens boosts your zooming capabilities. Wide-Angle Lens expertly captures interiors, architecture, and landscapes. Plus Carrying Cases, Lens Cap, Tulip Lens Hood, Lens Cap Keeper. 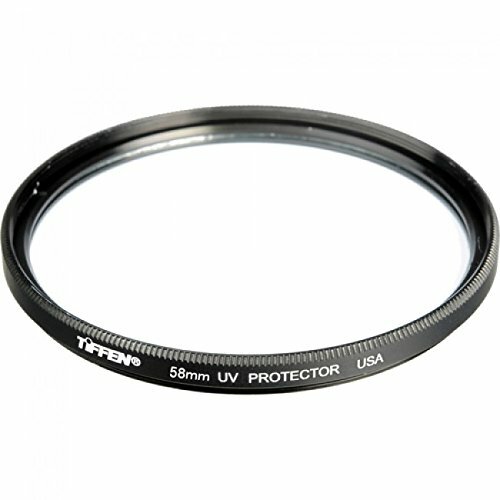 Ultraviolet Filter for crystal clear damage protection that won't distort your pictures. Fluorescent Filter ensures natural-looking colors under artificial lights. Circular Polarizer Filter controls reflection and balances color for shooting in the great outdoors. 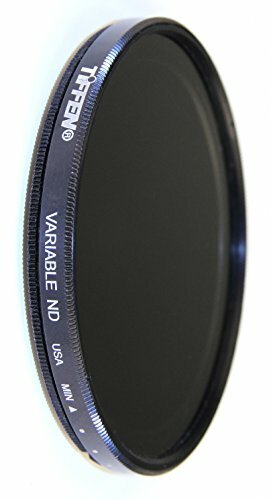 Neutral Density Filter Set (ND2, ND4, ND8) to create artistic blurring in the noonday sun without risk of overexposure. Macro Close-Up Filter Set (+1, +2, +4, +10) increases magnification to capture every detail. The complete camera cleaning kit. Never worry about dust, fingerprints, moisture, or debris getting in the way of otherwise perfect pictures again! This bundle comes with all the tools you need to keep your camera in pristine condition: Lens Brush, Air Blower Cleaner, Lens Cleaning Pen, and Microfiber Cloth. Take your photography to the next level! Click "Add to Cart" NOW, and start shooting the photos of your dreams! THE WORLD IS READY FOR ITS CLOSE-UP - Take the photos you always dreamed of with your new 58mm lens kit, which includes: High Definition Wide-Angle Lens and Professional Telephoto Lens. Our sets also come with Snap On Lens Cap, Tulip Lens Hood and Lens Cap Keeper. 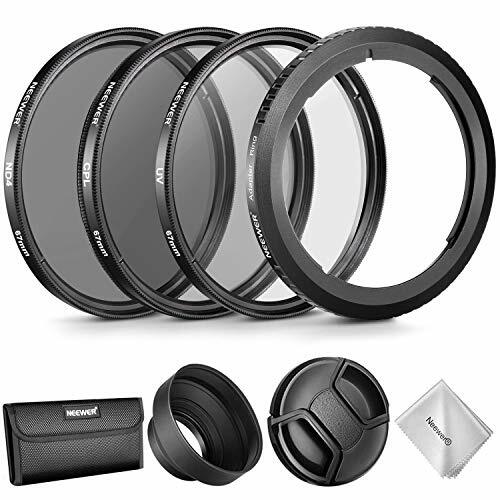 CAPTURE STUNNING, BRILLIANT PHOTOS - The ultimate 58mm filter kit. Crisp, saturated photography depends on the right filters. 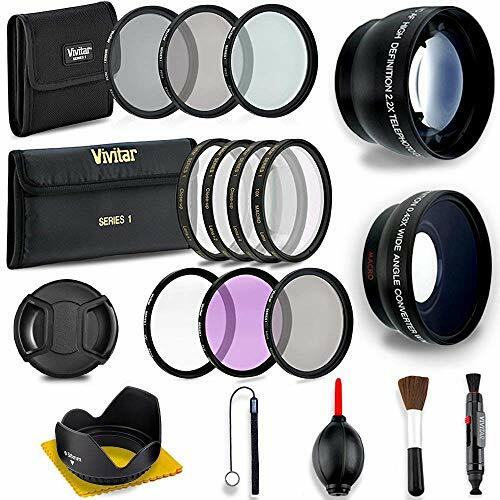 With our kit you get: Macro Close-Up Set (+1, +2, +4, +10), Vivitar Neutral Density Filter Set (ND2, ND4, ND8), Ultraviolet, Circular Polarizer, Fluorescent, and 3X 58mm Lens Filters Carrying Pouches. YOUR ON-THE-GO PHOTOGRAPHY ACCESSORIES - Our kits are designed to provide you everything you need to be able to compose the perfect photo. We've included a full bundle of cleaning supplies, including: High Quality Lens Brush, Air Blower Cleaner, Lens Cleaning Pen, and Microfiber Cloth. RELAX AND ENJOY BEING TAKEN CARE OF - We back our professional quality bundles with our 1-Year Warranty, so you can purchase with confidence. Our Customer Service Team is here for you if you have any issues at all, and with our satisfaction guarantee we'll do what it takes to make sure you're happy. 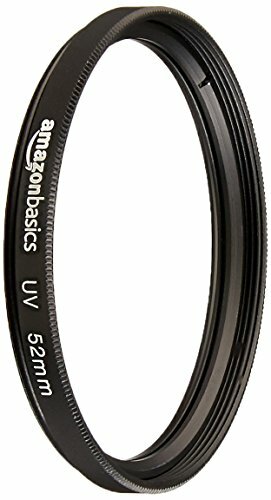 Amazon.com Product Description A circular polarizer has the same effect as a polarizer and is used on cameras with beam- splitting metering systems commonly found on autofocus SLRs. 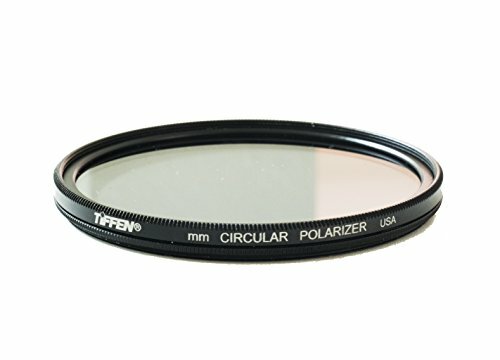 Product Description Polarizing Filters Polarizers provide color and contrast enhancement. Reflected light often shows up as whitish glare that washes out color in an image. A Polarizer corrects this problem producing deep, dramatically blue skies. It also removes glare from non-metallic surfaces, such as windows and water. Color saturation in general, especially outdoors, can be improved significantly. A Circular Polarizer has the same effect as a Polarizer and is used on cameras with beam splitting metering systems commonly found on auto focus SLR's (for most 35mm auto-focus cameras see your camera manual). Area of sky most effectively polarized with a Circular Polarizer: Point your index finger at the sun. With your thumb extended at a right angle (90), rotate it around the axis of the index finger. It will point out the band of deepest blue from horizon to horizon. The FINEST+ professional waterproof housing case with 3-Pack dive filters are designed for GoPro HERO 7 Black/2018/6/5 action camera only. 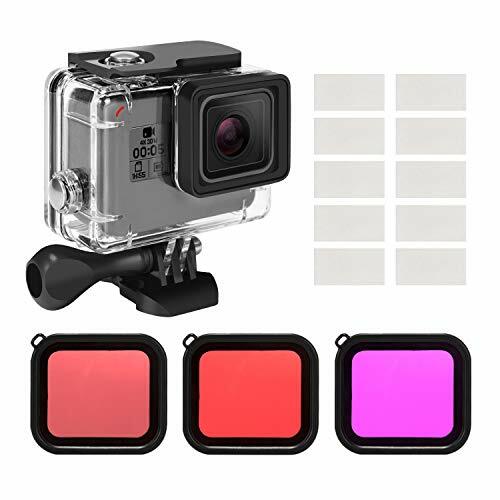 They will give you a better protection for you GoPro and help to improve contrast for video and photography in different colors and depth of water, which will give you a wonderful underwater experience. Specifically design for GoPro HERO7/(2018)/6/5 Black Action Camera Only. NOT fit for GoPro Hero 7 White/Silver and Other Editions. The waterproof case: It perfectly use the camera 45m underwater, ideal for diving, snorkeling and other underwater extreme activities. 12 Pack Anti-fog Inserts: It will help prevent excess moisture forming on your lens and inside the underwater housing. When filming in cold or humid environments fog inside the housing from the heat of the camera. The Professional Photography Filter kit by Altura Photo includes three of the most useful filters available for your camera kit. Protect your lens against scratches, remove unwanted glare and reflections, and control your exposure and depth of field in bright light. Whether you are a beginner, advanced shooter, or whether you take stills or video, these affordable and highly useful filters help improve the image quality of the pictures you take. - The most important filter you can own. 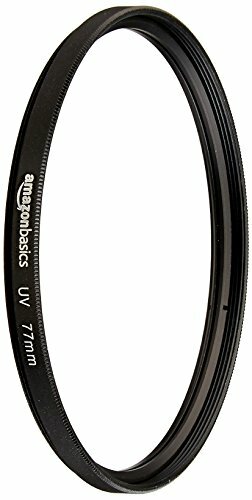 The Altura photo UV filter is a cost-effective solution for protecting your digital lens against moisture, dust, fingerprints, and accidental bumps and scratches. 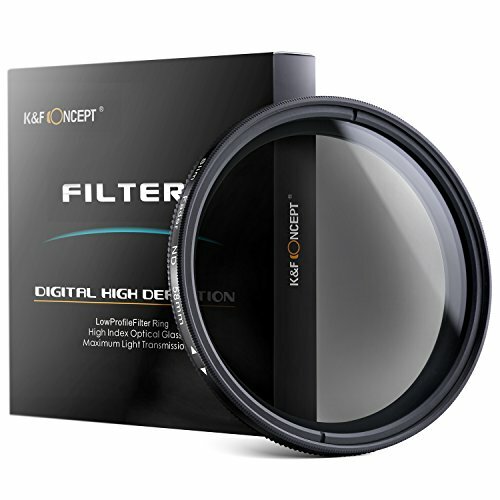 - Circular Polarizing filters remove unwanted reflections from non-metallic surfaces such as glass or water. Take richer scenic shots and notice improved clarity in distant objects by cutting through haze and increasing color saturation. Simply rotate the front ring to adjust the desired effect. 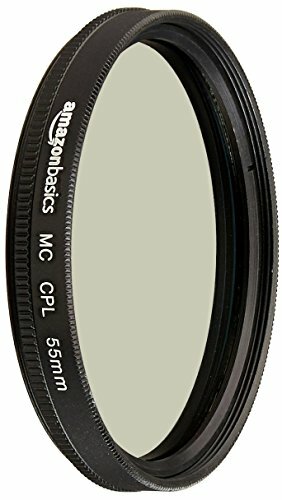 - Neutral density filters are neutrally gray-toned, and designed to reduce the amount of light passing through the lens. The ND4 filter reduces your exposure by 2-stops, allowing for greater control over depth-of-field. 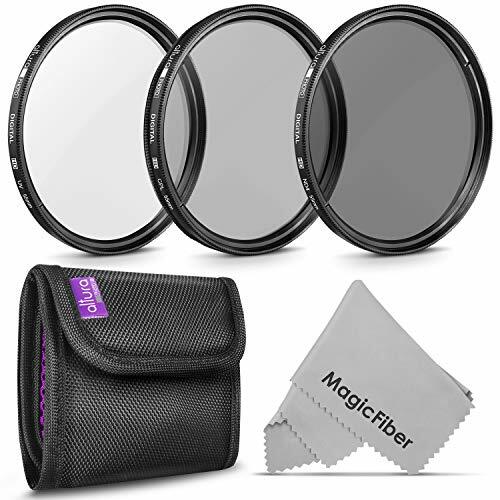 High-quality optical filters for lens protection and image enhancement. 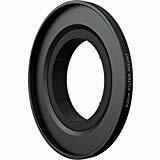 NOTE: These Altura Photo filters are compatible with all 55mm lenses. Please verify your camera's lens thread size before ordering. Your camera's lens thread size will be marked somewhere on the lens barrel or printed underneath your lens cap. This number is always preceded by a (diameter) symbol. For example: 55 = 55mm lens thread size. Backed with Digital Goja 90-Day 100% Satisfaction Guarantee. MAGNETIC DESIGN --- The magnetic design does not leak light, the lens is quickly installed by magnetic device, and the installation can be done overnight, so you don't miss the wonderful picture. TIPS --- The wide-angle lens is compatible with Dji Osmo Pocket. 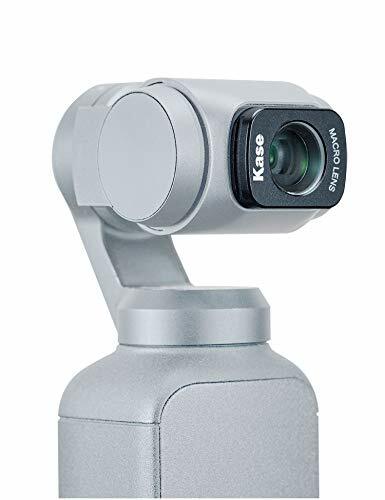 Please put this lens on the DJI Osmo Pocket after startup. The appearance is exquisite and compact, easy to carry, shooting small objects such as insects, flowers, trinkets, food, etc. Magnetic structure, with removable grooves, easy to install and easy to unload. The magnetic force is large, it is not easy to be lost or slipped, the fit is good, and there is no light leakage. 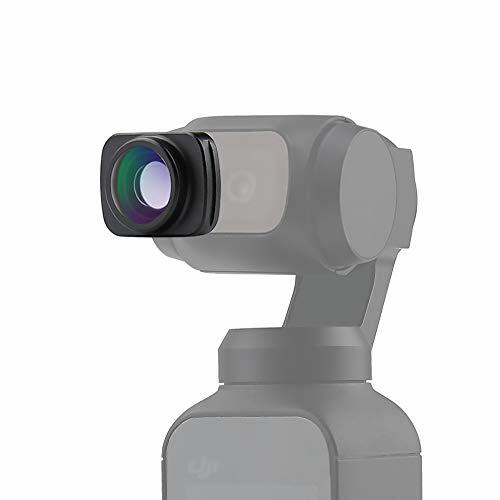 Compatible with Dji Osmo Pocket, the metal frame work fine will not cause damage to the lens. Shallow depth of field, before and after the background blur effect is good, precise focus, blur natural, can be good performance details, distortion is small. If you have any questions, please feel free to contact us and we will resolve it within 24 hours. We just want to make you 100% satisfied. Don't hesitate to add it to your shopping cart immediately. Brand: kase | Manufacturer: kase Optical Co.,Ltd. 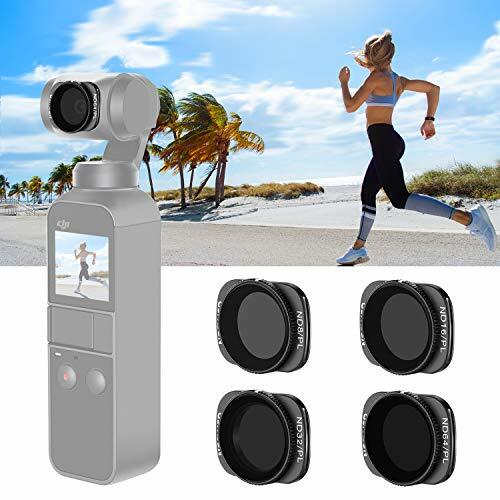 Compatibility Compatible With DJI OSMO Pocket Handheld Camera. 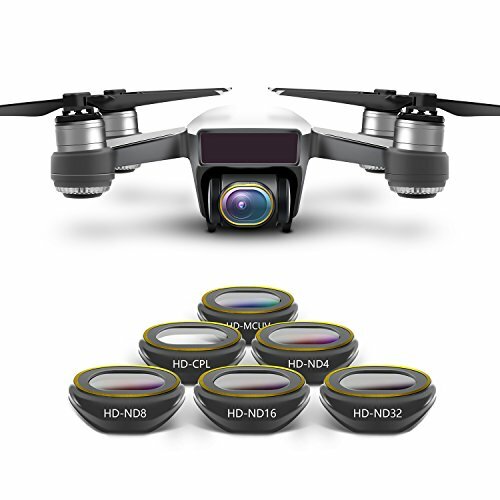 Function It Can Help Largely Expand the Field of View and Enable You Capture the Entire Family or a Whole Team Member into One Picture. The lens is Clarity, 16-18mm, Undistorted . Turn your mobile into DSLR Camera, Enjoy Your Stunning Photographing Trip. Feature Crafted from Aircraft-grade Aluminum and Multi-element Coated Optical Glass Reduces Glass Flare & Ghosting Caused by Reflections. Easy to Use and Carry Magnetic Design, Easy in Mounting and Dismounting. Not Easy to Lose or Slip.